Posted: Sunday, June 7, 2015. 10:57 am CST. Sunday, June 7th, 2015. 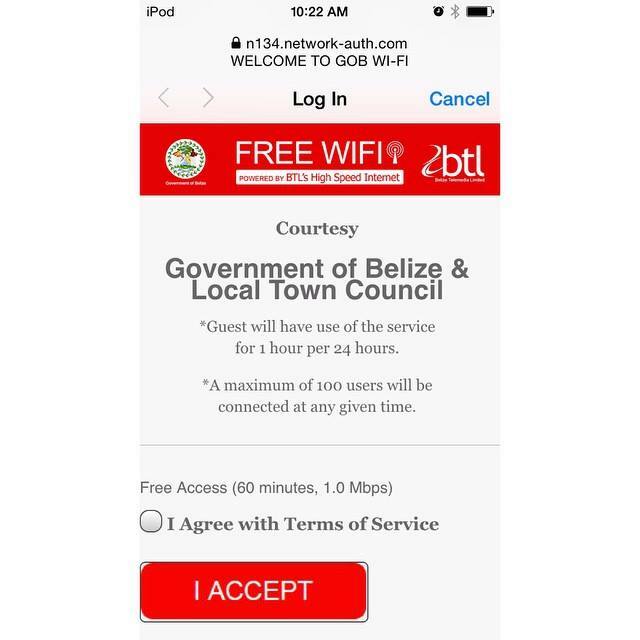 BMG: Through a joint partnership with local government, the Government of Belize and BTL, Corozalenos are now benefiting from free internet at the central park, one of the Town’s biggest public spaces. According to Mayor Hilberto Campos, the initiative was brought up with the intentions to assist students that have problems in accessing internet. But there is a catch. In an interview with 7News, Hon. Pablo Marin stated that each user will only have access to the internet for 60 minutes. The rationale behind this move says Marin is for students to be responsible and use the internet wisely for education purposes.